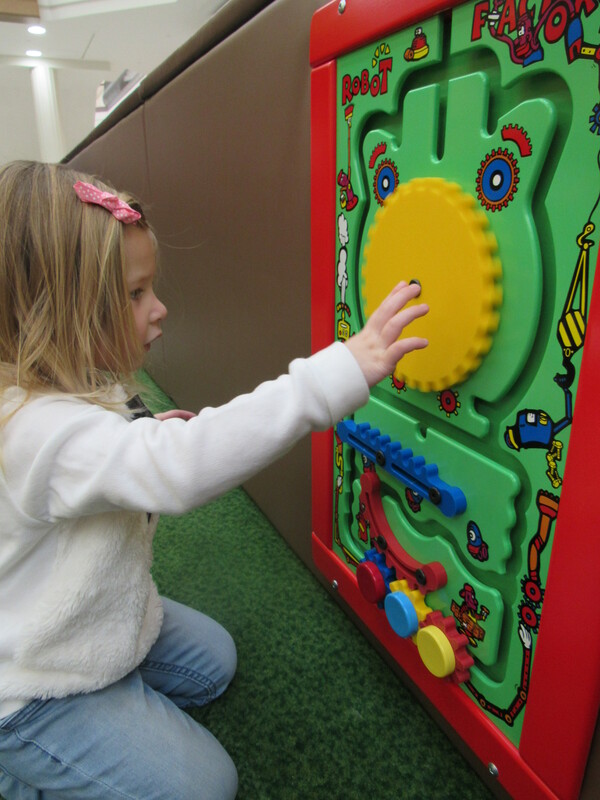 During the Winter months, I always find it challenging to think of things to do with my daughter to keep her busy throughout the day. She is only in preschool 2 days a week, so the other 3 days I have to plan some fun activities in the mornings, to get us to nap time. I always like to plan our play dates together indoors, because we’ve been having freezing temperatures this winter. 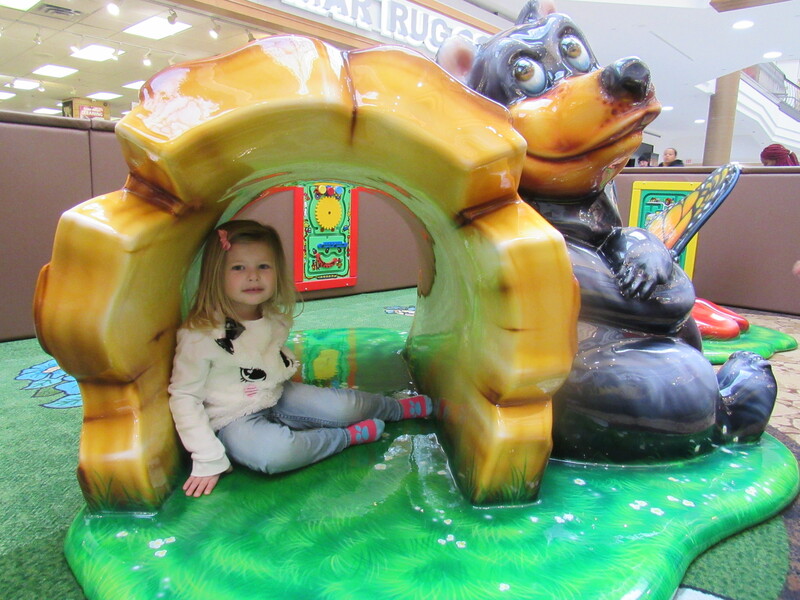 So, last week I took her to the Pickering Town Centre to check out their new Toddler Play Park. 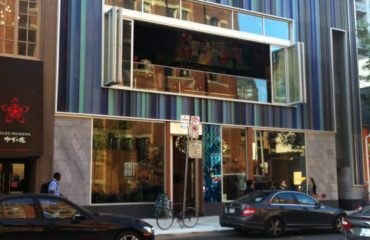 What I love most about this Play Park, is that it’s on the lower level, and close to the entrance. 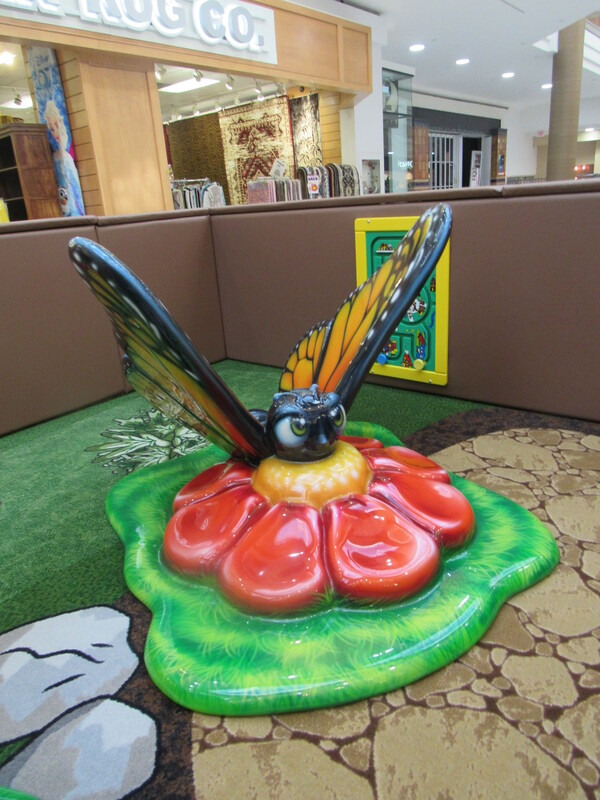 It’s located just outside the Sears wing, in front of the store Think Kitchen. It was so convenient to just park outside of Sears, and walk in, and see it right away. No need to walk down any stairs, or escalators, nor did you have to walk a far distance to get to it. Not only did I find this helpful for myself, but I thought of all the other moms that might have younger children, or more than one child to take to the play park. Now the best part- Admission is FREE! 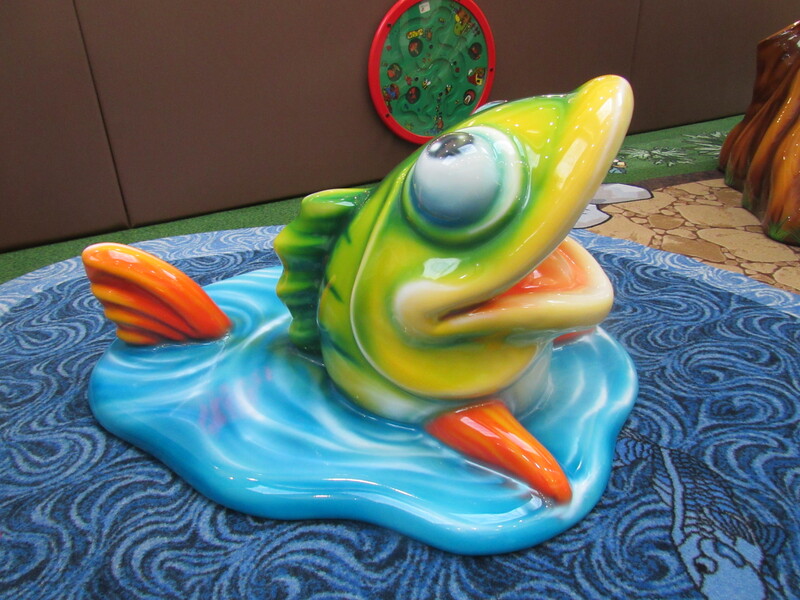 The Play Park is designed in a fun outdoor theme for toddlers. 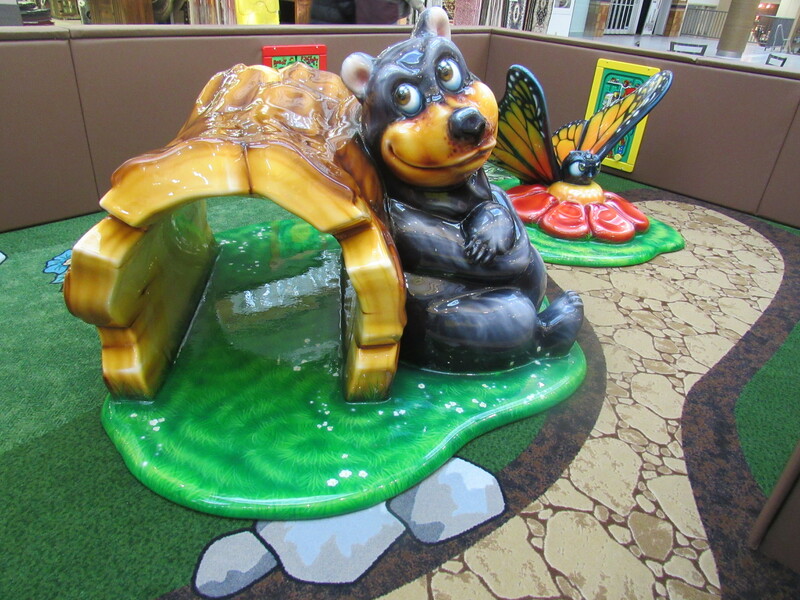 It has animals, a tree climb and slide, and even a log crawl through to play on. 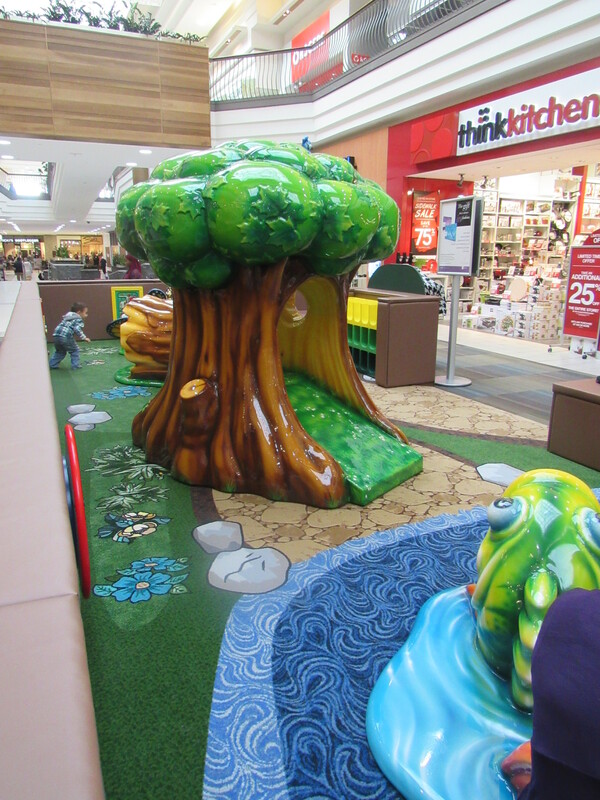 Everything is age, and height appropriate to give toddlers not only a safe environment to play in, but also fun! 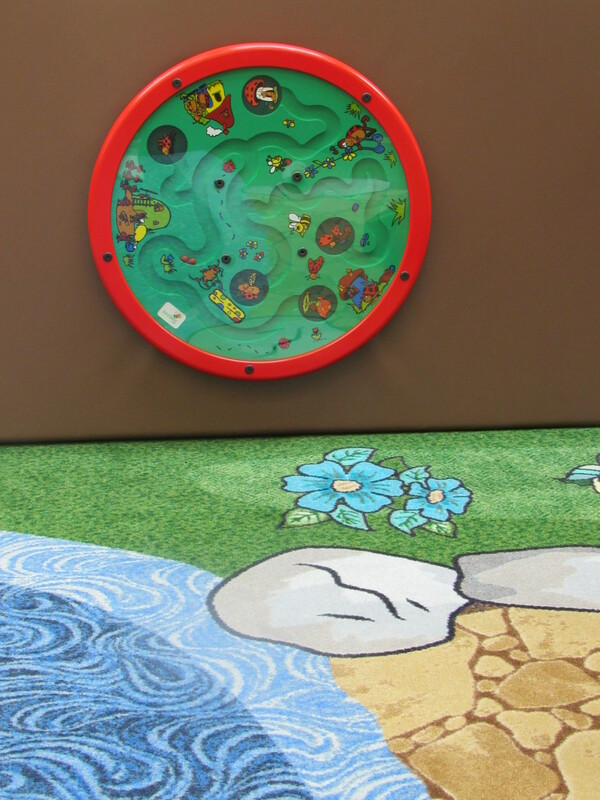 It’s also carpeted throughout, and is bordered with padded mats, to make it a nice and safe area to play in. 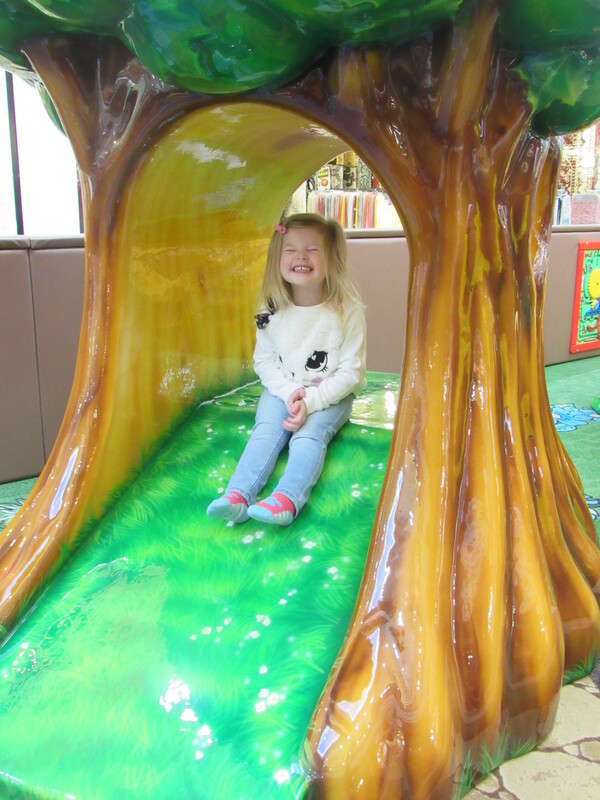 If you ask my daughter, she would tell you her favourite thing to do at the Play Park, is slide down the tree slide. She must of went down that slide at least 30 times while we were there. She loved it!! 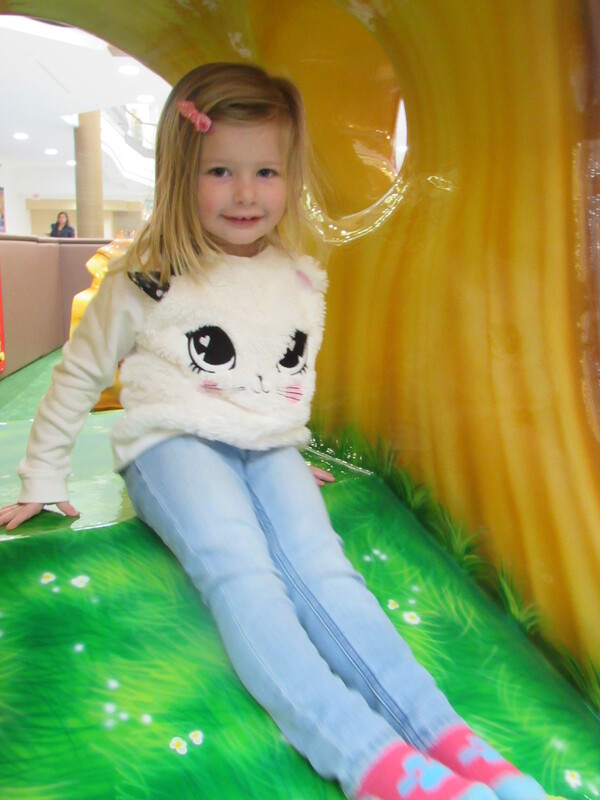 There were only a couple of steps to get up, and the slide is nice and soft to slide down on. 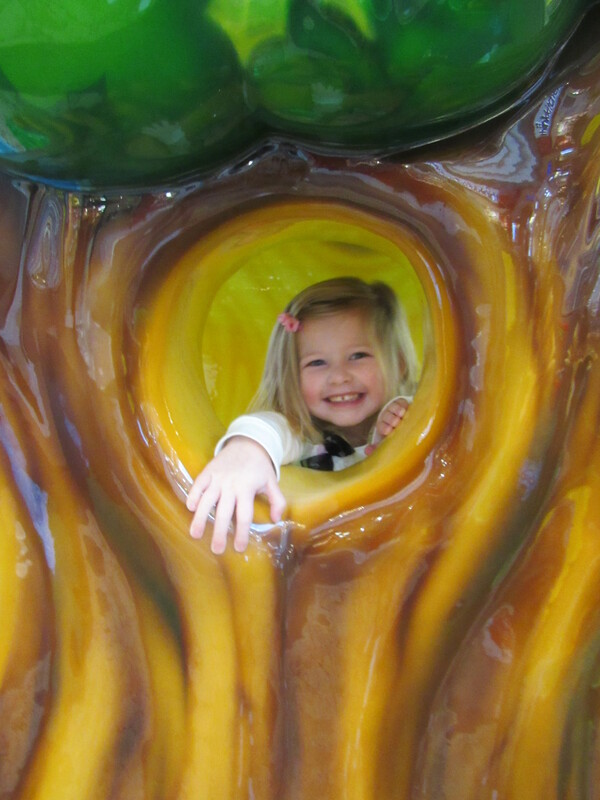 There is even a cute little tree hole that she loved peeking her head through, and saying “peek a boo” to not only me, but to the other kids as well. Since the Play Park is carpeted, shoes are not allowed inside, and socks must be worn at all times. 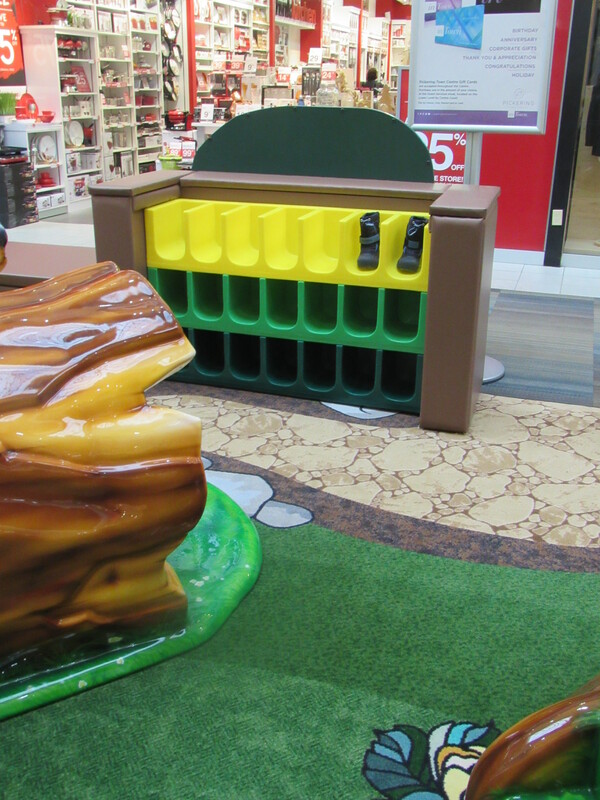 To keep all the shoes organized, and in their place, they have provided a shoe cubbie for your convenience. 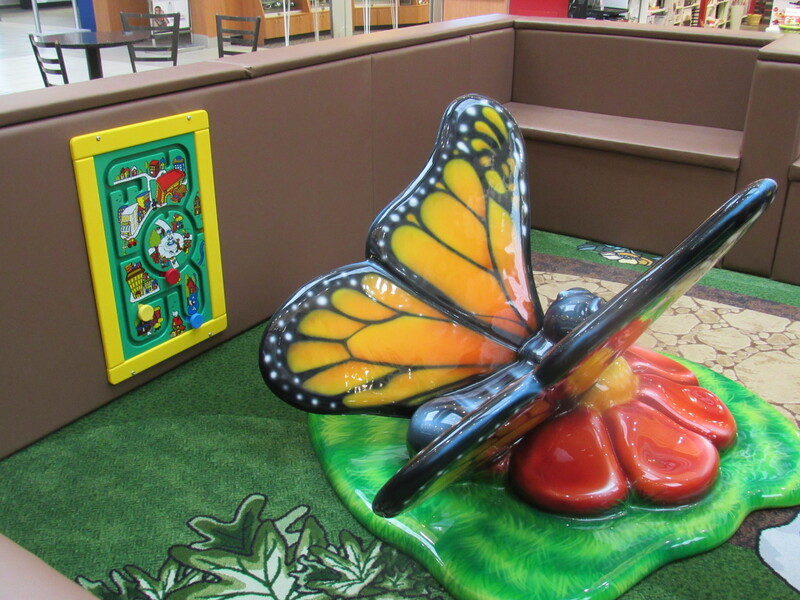 They also have benches for the parents to sit down, and relax, while their children are playing in the play park. 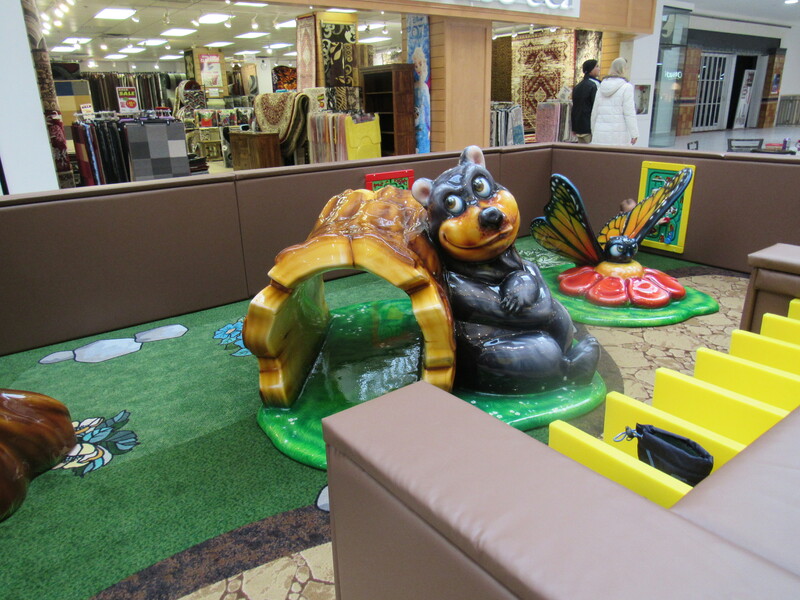 Or, for the children to sit on to take a break from playing. 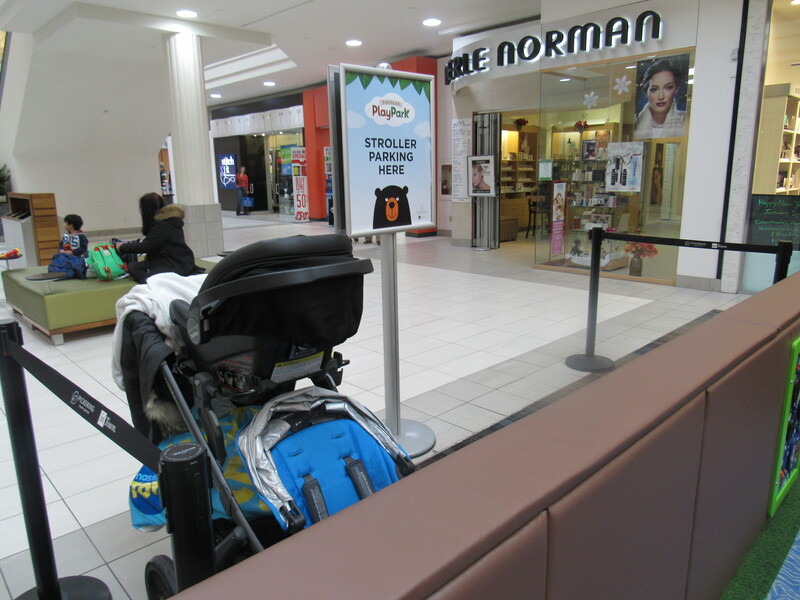 Right beside the Play Park, there is a section to park strollers as well. They also have hand sanitizer for your benefit which I recommend using before, and after you leave the Play Park. 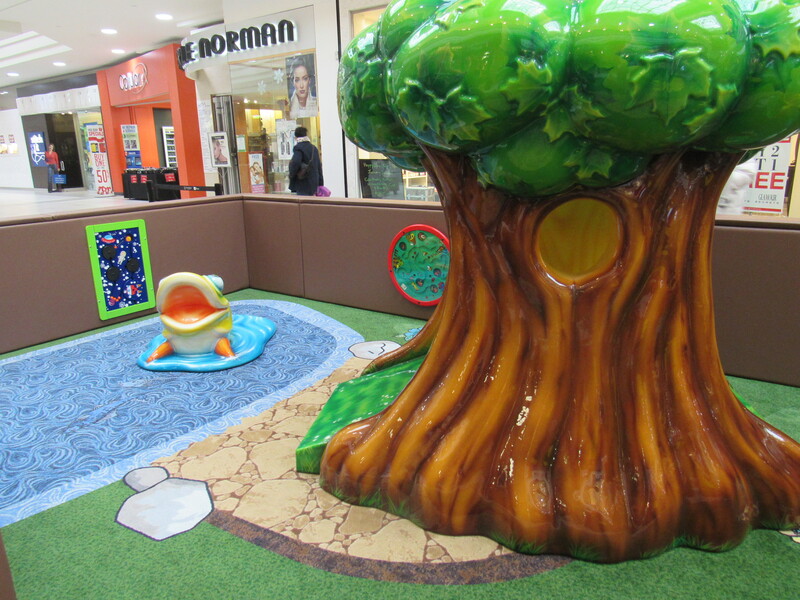 This play park is so much fun for toddlers. So much to see, and do, and will keep them busy for hours! 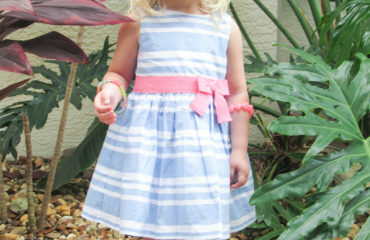 I love that I can take my daughter there to not only to play, and have fun, but to also socialize with other kids. 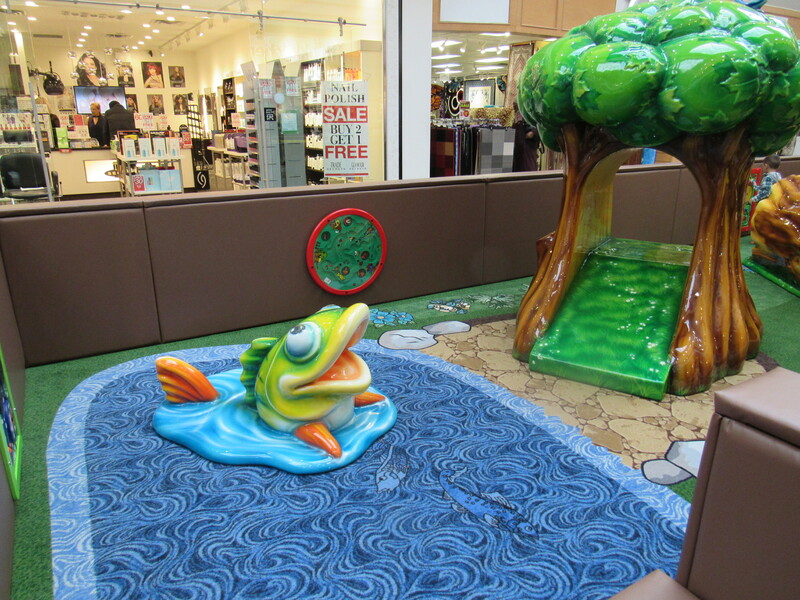 Disclaimer: This post is Sponsored by Pickering Town Centre. However, all thoughts and opinions on this post are my own.